We have been lucky enough to employ Lon and his crew for several renovations-kitchen and 3 bathrooms. They are professional, timely and clean. Today I had a mechanical issue with a RO that they installed about 3 years ago. After I called they were here within an hour! I cannot recommend them highly enough-we have received dozens of compliments on all of the projects they have done! Lon and his crew are excellent to work with! 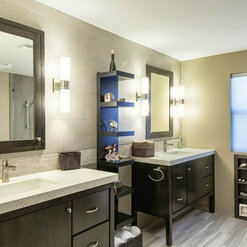 We needed suggestions for updating our bathroom to something contemporary. Lon had great suggestions for us. We would definitely use Shower & Bath Connection again. 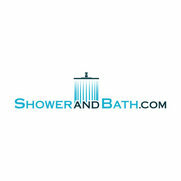 After extensive research, we selected Shower and Bath for our bathroom remodeling project based on their positive reviews. Lon and his crew lived up to their reputation and our expectations. 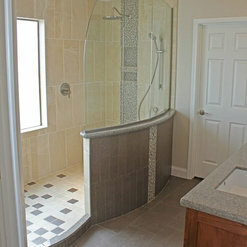 The project included a master bath, guest bath, laundry room, and linen closet renovation. 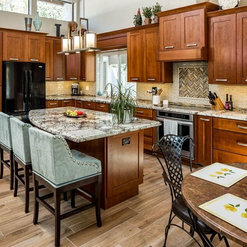 The criteria that I feel are most important when working with a contractor are cost estimate adherence, project timeframe estimate accuracy, and quality of work. With his creative design ideas, Lon was able to help us with the new master bath floorpan and material selection for all rooms. With only a slip in the estimated schedule due to some last minute design changes, Lon met all of my criteria. 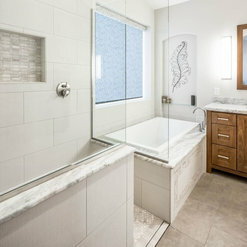 The results are three rooms and a linen closet that are updated, more useable, and reflect the high level of quality that Shower and Bath deliver. Even though there were design changes adding, deleting, and changing items, the original cost estimate was maintained. 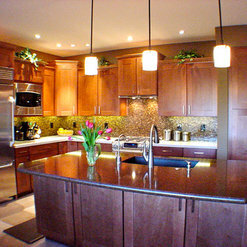 High quality materials were used throughout the project. Lon told us, up front, that he is not happy with a project unless his clients are happy with what he and his crew have delivered. He proved that to be true with our project as they completed the work reflecting the perfection that we and Lon demanded in the finished product. We could not be happier with our time with Lon and his crew during the project process and with our renewed rooms. 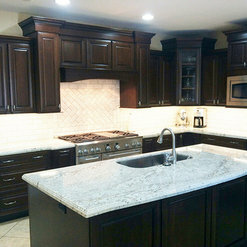 When we are ready to do our kitchen renovation, we know who we will call! 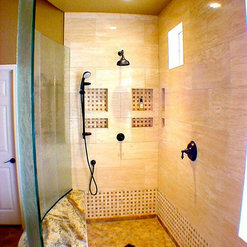 Thank you so much for posting the HERO photo, love your master bath! It is because of customers like yourselves that we enjoy our work so much! Thank you for choosing our company!!! Having had a bad experience earlier this year with a different company we were a little hesitant to try again. However, from start to finish we were so pleased with the work Lon and his crew did for us. 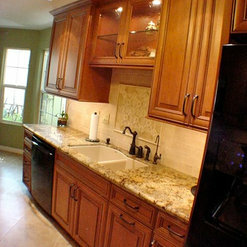 Every person that came into my home was professional and highly qualified at what their job was to do. 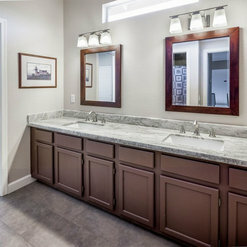 Besides the redesigning done in the master bathroom they also completed several unfinished jobs in the kitchen and built in a bookcase for us as well as doing some electrical work and creating a custom made linen closet for the bathroom. We couldn’t be happier and will absolutely use them again when we make other updates in the future. I have little skill with design and colors so it was helpful to have someone guide me through the selection process of everything. I can’t speak more highly of everyone that worked so hard and in record time to make a room functional and attractive. Best remodel experience I’ve ever had! Lon and his crew were a dream to work with. Lon’s knowledge of products and materials melded perfectly with our desire for design with function. They took great care to ensure the end result was what we wanted. Everyone was courteous, and professional, and neat and tidy before they left. 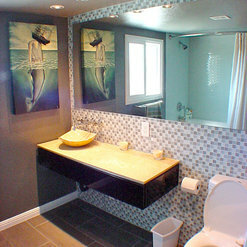 Lon's team just finished my bathroom remodel and I love it! I found Lon extremely knowledgeable, easy to work with, and readily available to answer questions or even run back to the house if needed. 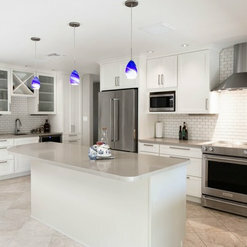 He employs a group of highly skilled professional craftsmen who use high quality materials that reflect the most recent developments in the industry. 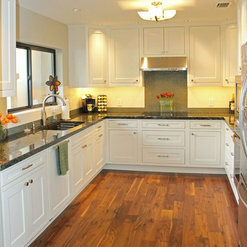 Every detail was done just right, and their work passed City inspection easily. I didn't know Lon before this job but a friend recommended him--he had done her kitchen and two bathrooms over a period of 10 years and she recommended him highly. I can see why.